Ski resorts in Switzerland now have more than enough snow and indeed some resorts had to close slopes temporarily due to avalanche risk. 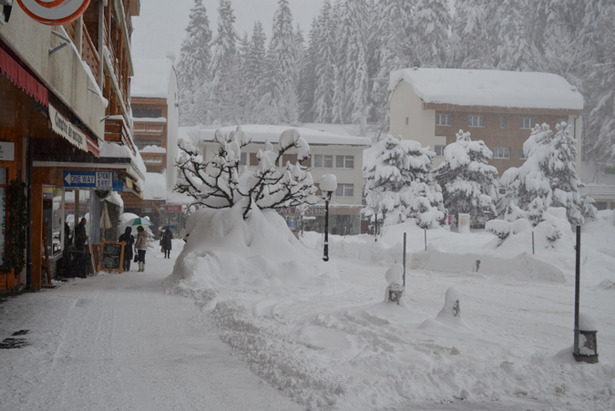 The last seven days brought more than a metre of snow in many resorts and in some cases more than two metres were reported in some areas like Lötschental or Anzère. So it's not a surprise that the snow depths are looking quite good. Saas Fee has 344 cm at higher altitude. Andermatt has 260 cm, Engelberg 190 cm, Zermatt 150 cm and Verbier 150 cm. New snow falls are expected for Thursday at the northern Swiss Alps and in Wallis.